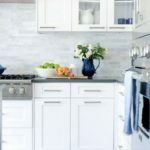 If you are new to this Series, we have been focusing on inexpensive ways to upgrade your kitchen from builder boring to high-end custom. When you read the words ‘adding woodwork’ I hope you didn’t turn and run the other way! If you are at all tempted to let me tell you something first!!! I grew up in a family that did not even own a drill. Even to this day I have never seen either of my parents hold any kind of home improvement tool (besides a screwdriver and a hammer). 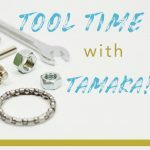 My husband has ZERO experience or interest in anything DIY. Are you still there??? Good, don’t leave yet. 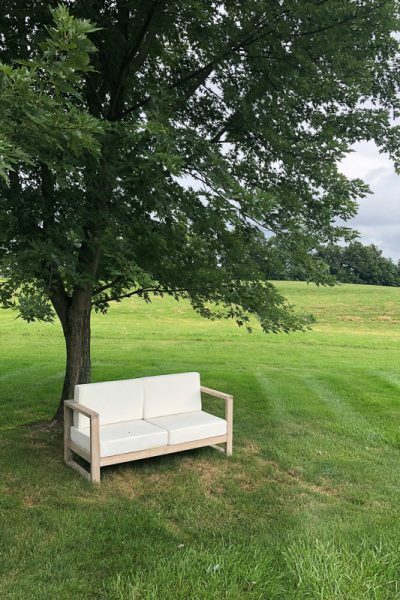 Woodwork makes a HUGE difference in the visual appeal of a space and it is something you can easily learn if you don’t already have experience with it. I never did until a few years ago! So who taught me to wainscot and crown mold? My friend, google search did! 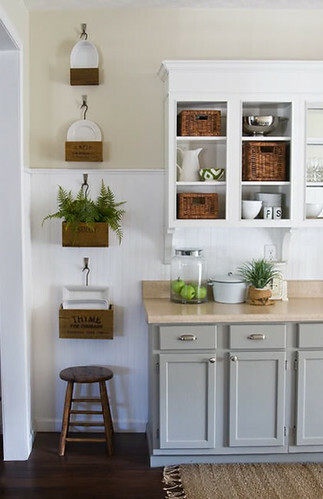 :-) I’ve learned how to do so many things by typing phrases like “how to install crown molding” into google search and then devouring every bit of tutorial and youtube demonstration I can get my eyes on. Then I just go for it–it’s like a mini adventure! There are usually some twist and turns in the road but the end result has always been worth the sometimes bumpy ride! 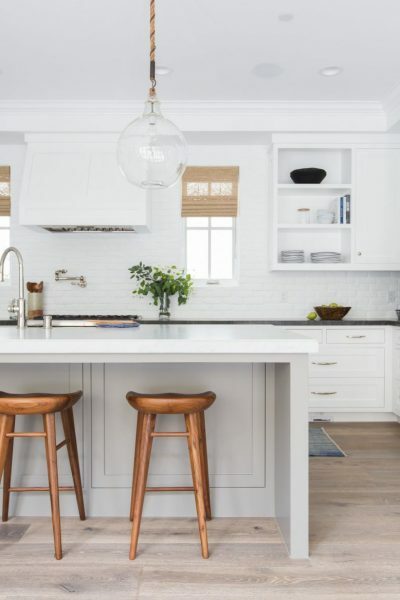 Here are some stylish wood detailing ideas for your kitchen that won’t break the bank and links to show you how to do them. Some only require wood glue so don’t worry if you are not up for learning carpentry just yet! I will start with the easiest and work up to what I would consider the hardest. 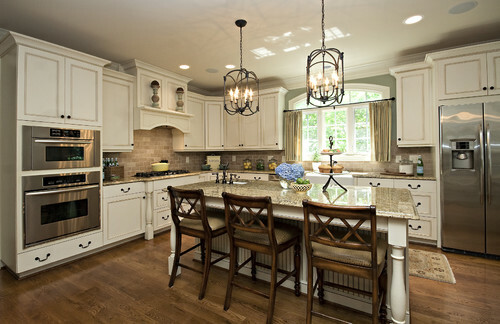 Corbels are most often placed under upper cabinets (like in the first two pictures) or under the island countertop (like in the last two pictures). The larger ornate ones can run over $50 per corbel but the regular size that is pictured in all these photos above only costs $9 a piece. As you can see in the picture above it comes with anchors and screws. You will drill a hole, lightly tap in an anchor (the red thing), screw the screws into the anchors and hang the corbel on the screws. 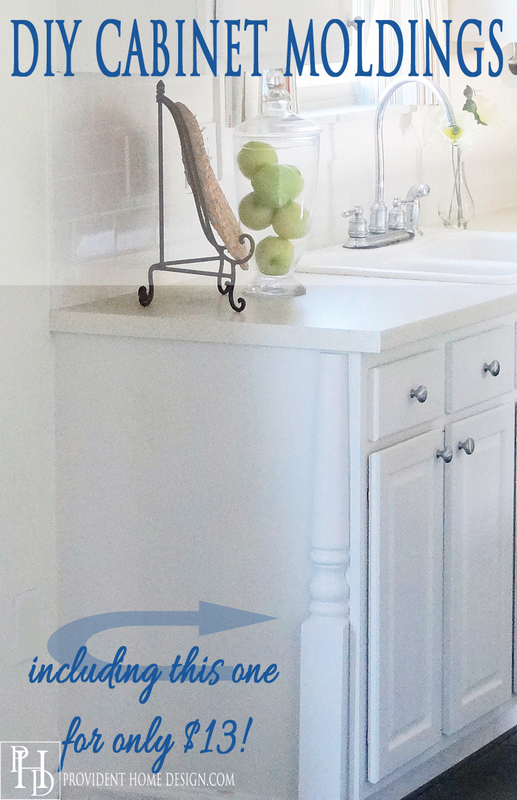 If you are needing to drill into tile you will need to use a diamond drill bit to make the hole. 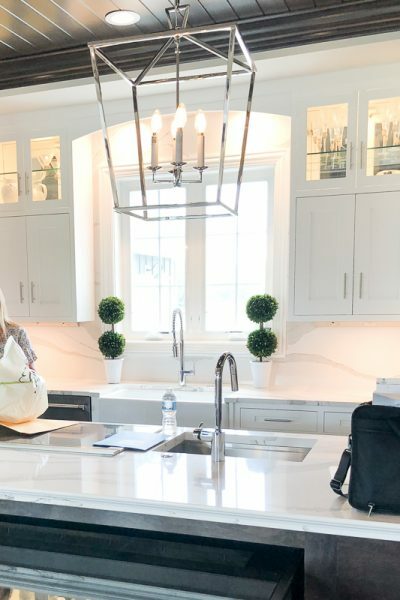 One of my favorite ways you can customize lower cabinets is to add decorative legs to the fronts and sides of your cabinets or under your island like the examples below. 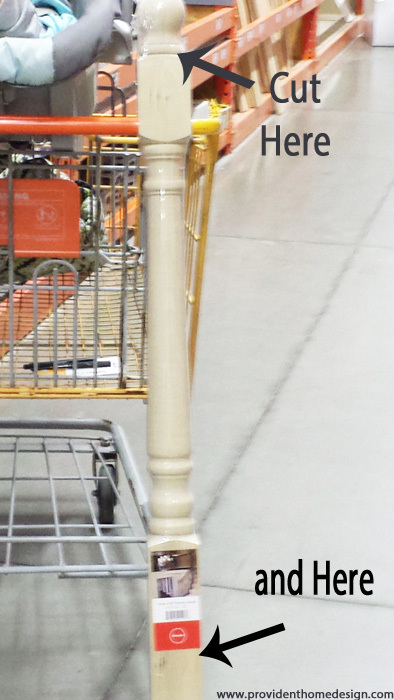 Did you know that stores like Home Depot and Lowes carry legs(sorry no prosthetics or leg lamps) and posts? 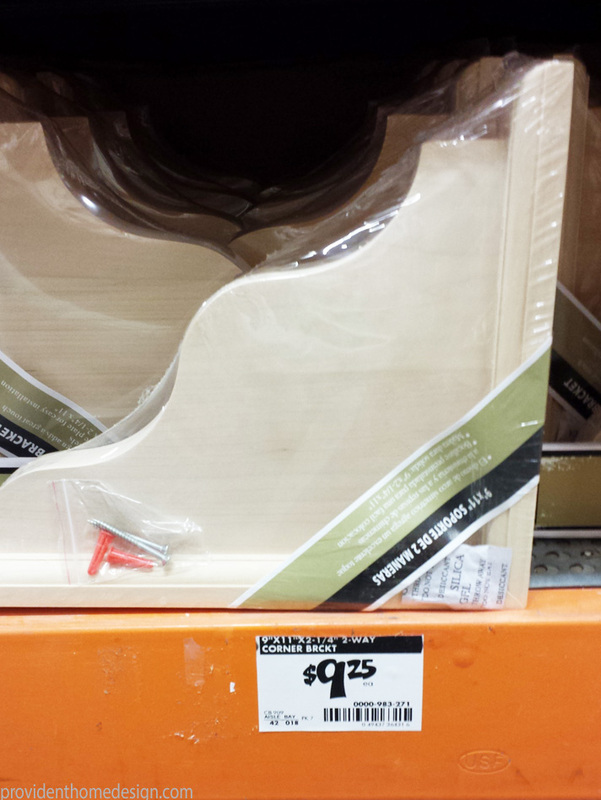 I discovered this one night as I enjoyed a quiet night out with myself at Home Depot. 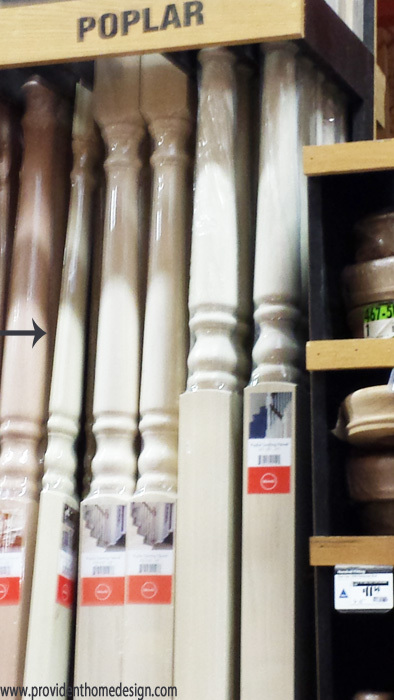 As I perused the wood trim aisle the next aisle over had items like columns and railing replacements. I combed through the different styles and noticed that one in particular was only half in diameter. It looked as though it had been sliced right down the middle. Then the light bulb went on! 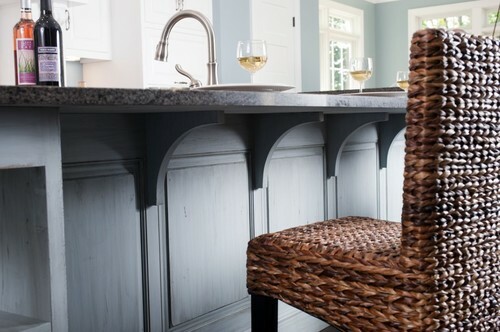 I had always loved the look of a decorative leg but thought it was something you could only get from a very expensive cabinetry remodel. For only $14 a piece I took two of them home to experiment. 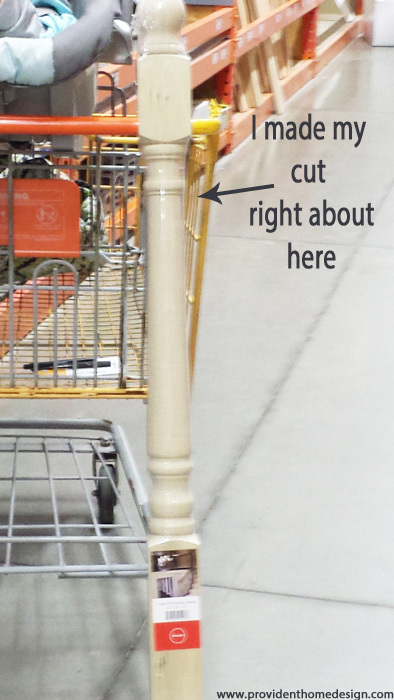 I held the post up to the cabinet and marked off where I would need to cut. I used my miter saw (I have a $115 that has worked well for me so far but you could also use a jig saw for $40 or a miter box and hand saw for $8) to cut the top of the pillar off. Since my countertops don’t hang over the sides very much I had to cut at the flattest part of the decorative molding. 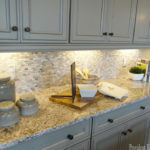 If you have more of a overhang to your countertops then I would make the cuts more like the ones below. I have an eat-in kitchen and a lovely(insert sarcasm) sliding door in that eat-in kitchen. 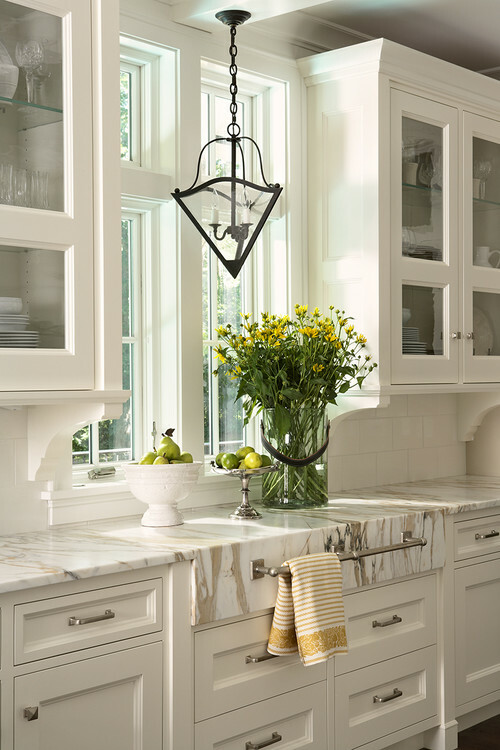 Although I love the light that the sliding door lets in I don’t like the look of a sliding door being in a kitchen. 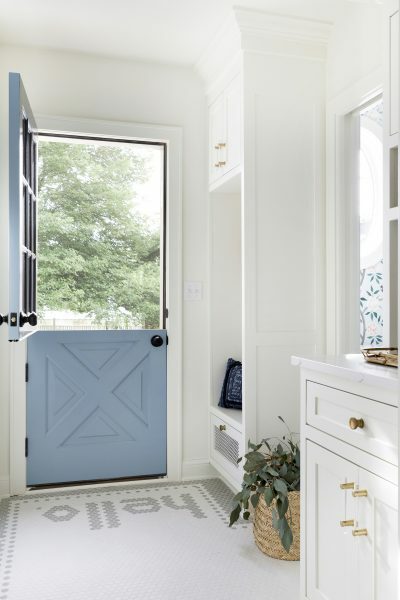 It reminds me of kids coming in and out with muddy boots and so I’d rather it be in a mudroom (not my kitchen). To make the cookie cutter sliding door a little less abrasive I made a cornice to go over the sliding door and then added trim above that to fancy it up even more. 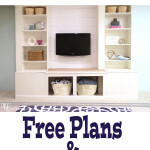 I used this tutorial from All Things Thrifty to make it. 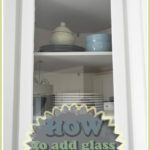 It is a great step by step tutorial that I am confident even a novice DIY-er could do! 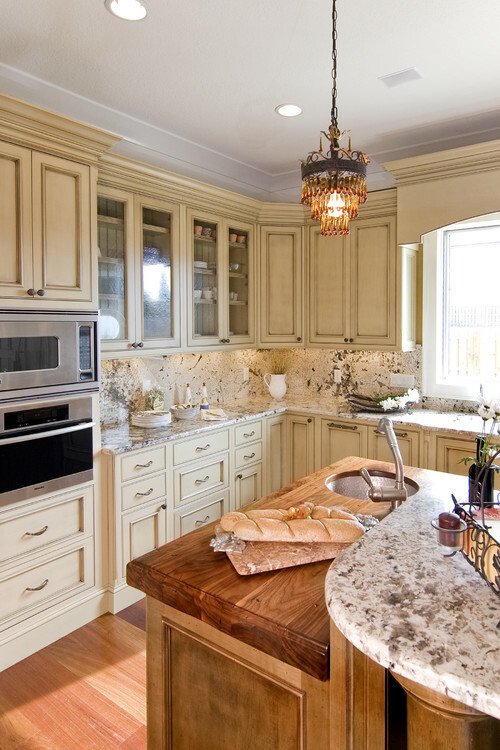 Crown molding on kitchen cabinets adds interest and distinction. 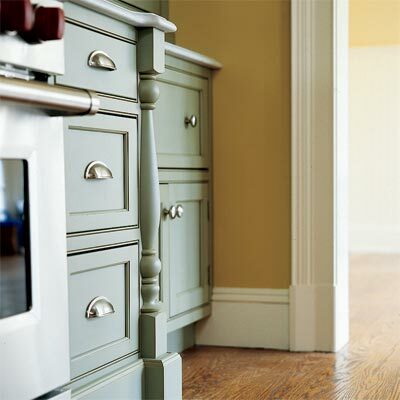 Here are some good instructions for installing crown molding on kitchen cabinets, here and here. I have a sliding door in my dining room as well as a window on the opposite wall. The dining room is open to the living room and kitchen so on one wall there is a window in the dining room and one in the living. In the living room I have curtains and I would like to add in the dining room. Do they all need to match, should I just add the valance over the sliding door? This has been so hard to figure out! 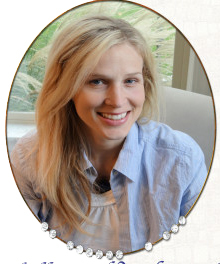 Hi Renee, thanks for your question! It’s probably been so hard to figure out because there really is no one right answer. There are several options that could work well. I personally lean to the non-matchy side of the spectrum. 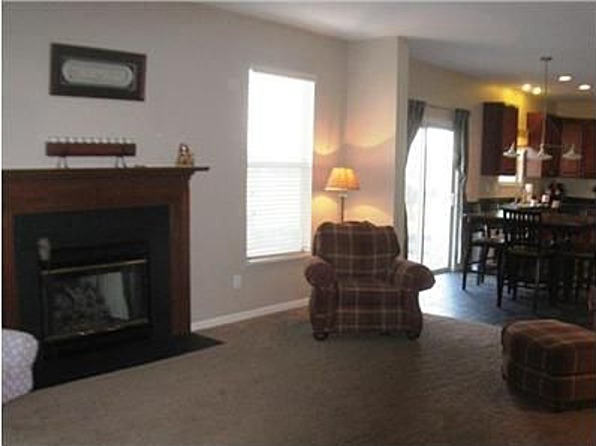 I can picture the cornice/valence over the sliding door and then if the living room curtains are patterned you could choose one of the colors from it and do a solid curtain on the dining room window. Or if the living room curtain is solid you could do a patterned curtain on the dining room window that has the color from the living room curtains in it. The goal is not that it all matches but that it flows. 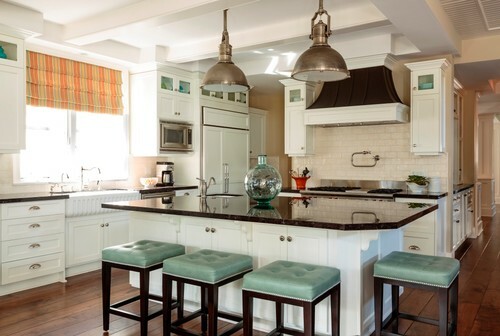 This post on flow and color repetition might really help, http://providenthomedesign.com/2014/03/31/design-101-flow-pt-2-color-repetition/. Also here are some great drape options, http://providenthomedesign.com/2014/04/22/25-stylish-budget-friendly-drapes/. Let me know if you have any further questions! Thanks, Renee! 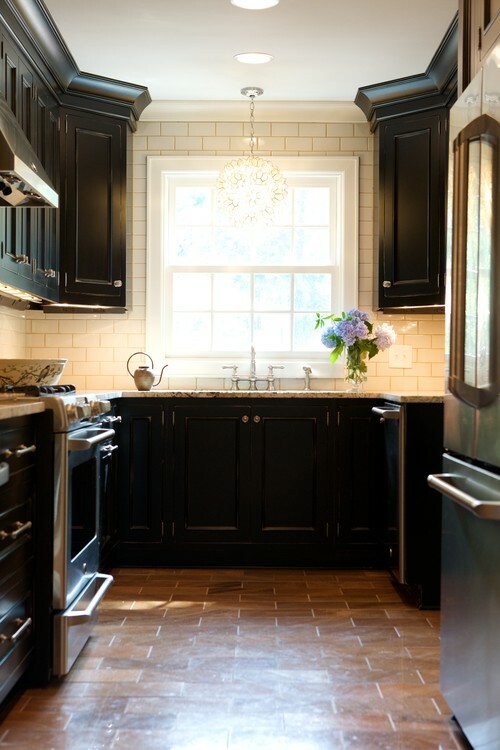 Hi, I love this post about trim and the kitchen. I got a drill for Christmas and have never used power tools. The only thing that scares me is that I have a soffet above my cabinets. The previous owners did the kitchen themselves and there is a big gap between the cabinets and the soffet. Is this a doable project? 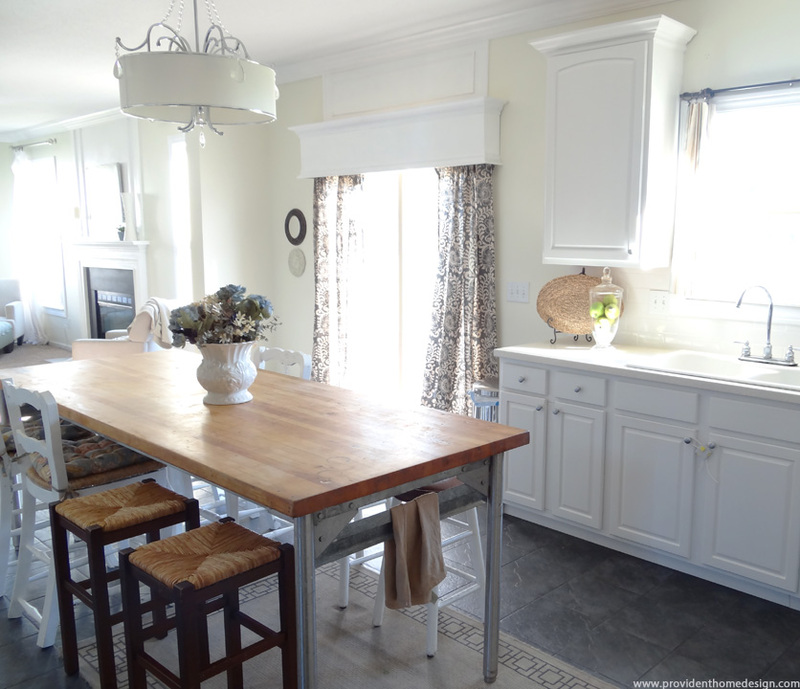 I love your ideas for using trim molding to update a plain kitchen. I also like your writing style and sense of humor!! Great article! 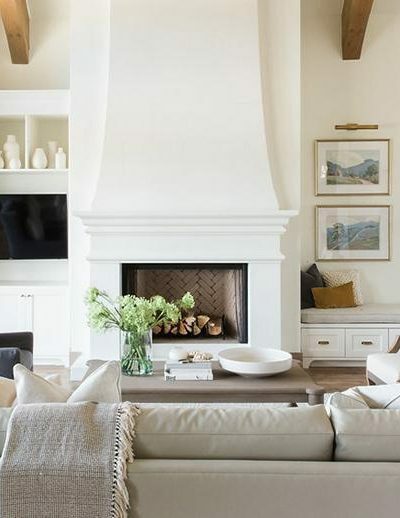 I’m curious where you purchased your crown molding? 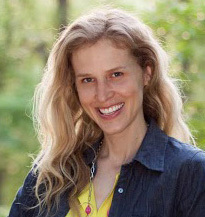 Hi Malynda! I’m pretty sure it was Lowe’s! 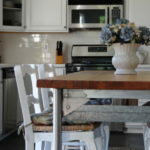 Your kitchen is so pretty!!! 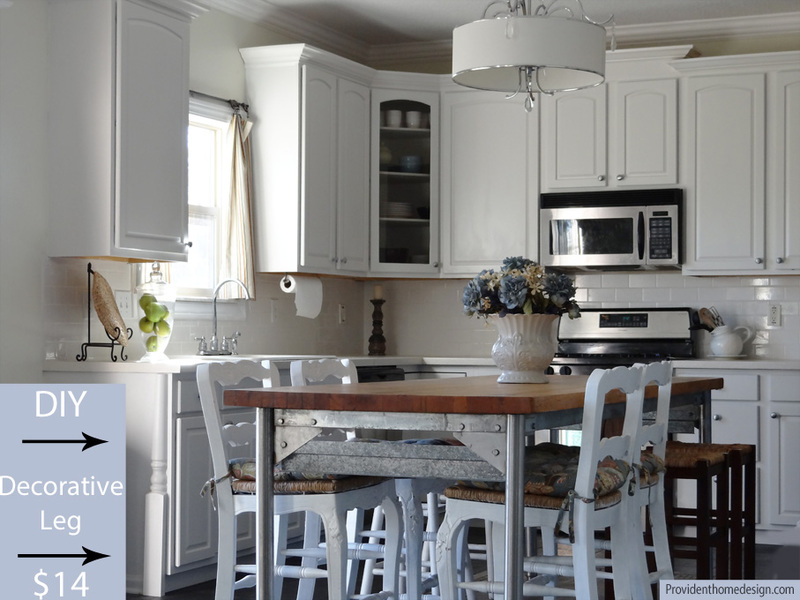 What paint did you use in the kitchen and what paint is on the cabinets? 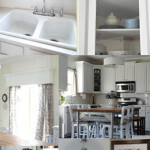 We are moving and I would like to brighten up the kitchen and the dark wood kitchen cabinets with white but nervous on choosing the whites because I don’t want it to look like like too much white. Thoughts? Also did you paint your cabinets are we’re they white to begin with? Is that hard to do?